The popular authentic and original 4×4 SUV brand, Jeep is known across the globe since the year 1941. The company has now revealed a new brand mark in India today. The company has now released a new pre-launch website for the Jeep in India. The new website from Jeep was first unveiled today, there by offering the first glimpse to its customers and fans of its very popular and bestselling models – Jeep Grand Cherokee and Wrangler Unlimited. 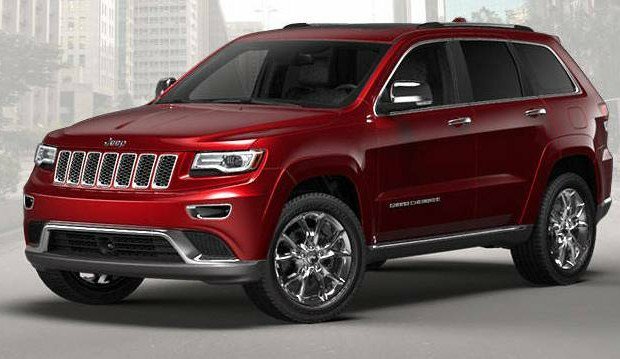 With this, Jeep has positioned itself as the brand ahead of its official reveal in India in February. It gives us immense pride to launch this iconic Jeep brand in India. Today, FCA embarks on a new expedition in the Indian market and we hope this significant milestone will help us to firmly establish Jeep in India right from the start. The new Jeep brand positioning on the website reflects an ambition to expand the marque’s global footprint while staying true to its legacy. Stay tuned to experience more about this exciting brand’s arrival in India in the coming months. Other than having a curtain raiser website, the potential customers can now engage on other digital platforms like Facebook, Instagram and Twitter – to explore the brand and learn more about the new models. The manufacturer would be showcasing its entire model line-up for India during the Delhi Auto Expo 2016 from February 5, 2016.